Here is the long time waited Vol. 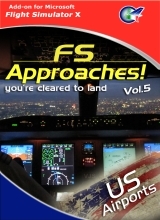 5 US Airports in FS Approaches series for FSX! 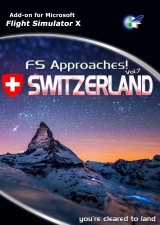 FS Approaches Vol. 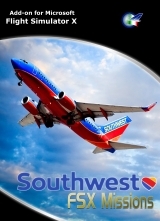 5 - US Airports offers you a realistic collection of multi-crew airline missions to replicate real life approach plates. 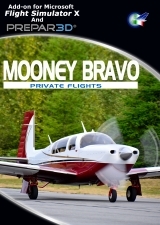 Missions give you a realistic flight experience in one of the most important phase of flying. Special Feature extended - You can install a special feature that allow you to use any plane of your choice (instead of the included fleet) and edit time, date and season for each approach/mission. You does not need of external program or make complicated actions such adjustment, modification or file editing. 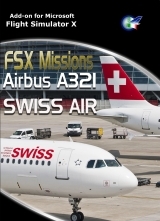 Just install the special feature, choose the plane, time, date and season direct from the FSX Free Flight Menu, then choose the desired mission and fly with your favorite aircraft and settings without losing the Success message. Tutorial - Learn how to use the GPS to execute an Approach. 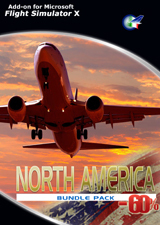 The User Guide includes detailed instruction about Basic Approach operation, Approaches with Procedure Turns, MIssed Approach, Approach with a Hold, Vector to Final Approach, and more. KPDX - Portland International Boeing 747-400.